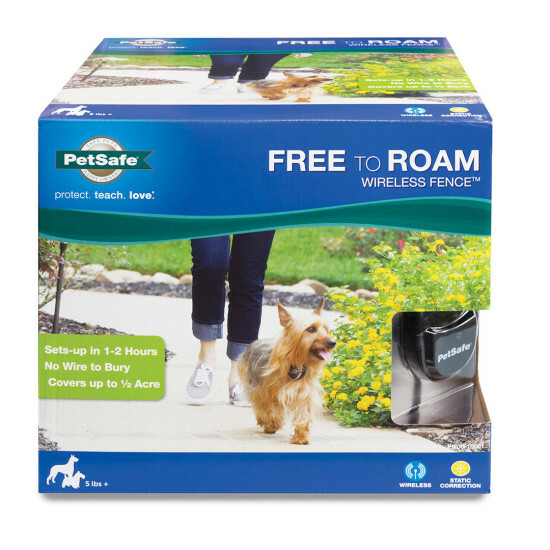 The Free to Roam Wireless Fence™ system covers a circular area up to 1/2 acre with no trenches to dig or wires to bury at a fraction of the cost of a traditional physical fence. 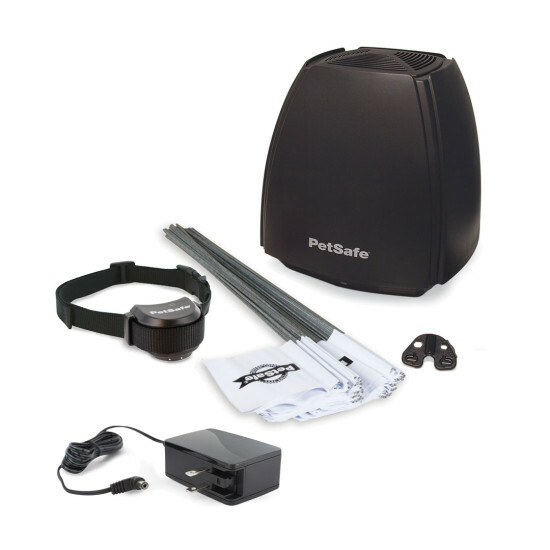 The fence transmitter is portable for RVs, cabins, and rental houses. Just plug the transmitter into a standard outlet near the area where you want to contain your pet. 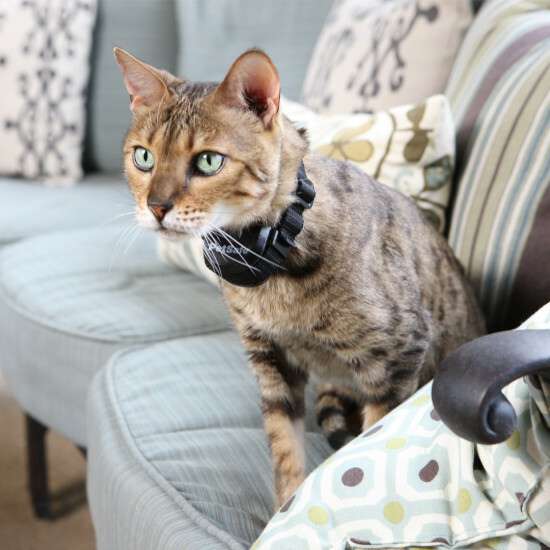 The transmitter communicates with your pet's waterproof receiver collar and helps keep him in the designated area. 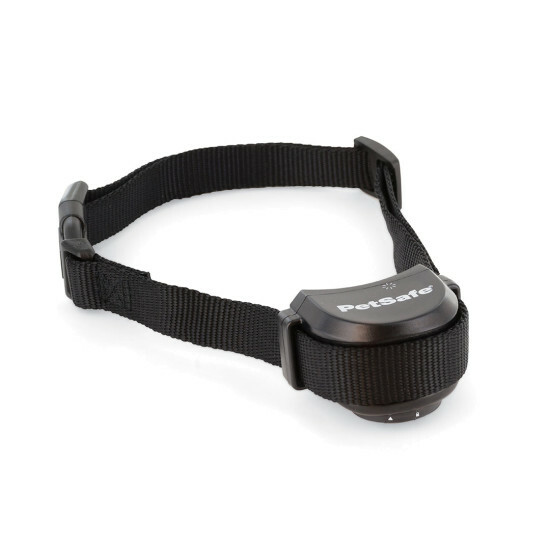 The Free to Roam receiver collar is ergonomically designed for comfort and sized for pets weighing 5 pounds or more. 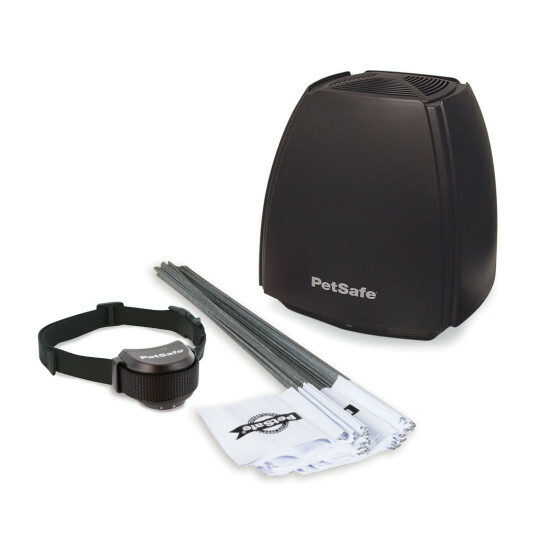 Choose from 5 adjustable levels of static correction to find just the right level for your pet, plus tone only mode which warns your pet with a beep. 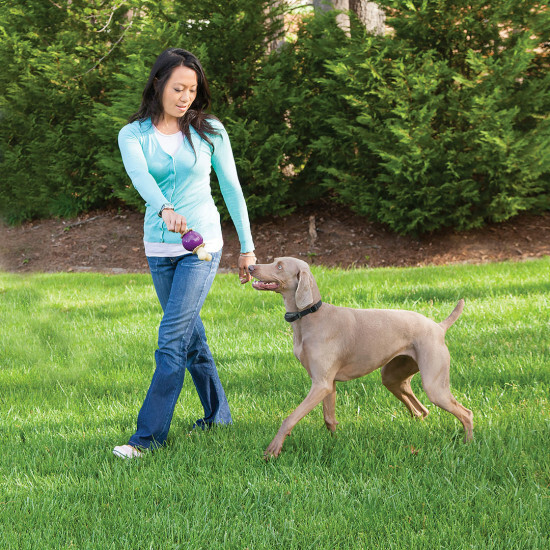 With just a few short training sessions, you'll create a secure boundary for your pet to enjoy freedom and fun!